What's the difference between pitching your startup on television, versus pitching your startup in real life? And how do you best take advantage of a TV audience to promote your startup? 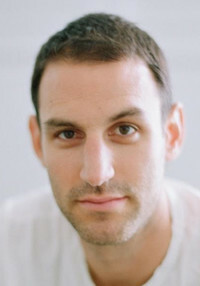 We caught up with Steve Seigel, the executive producer and one of the stars of the new startup pitch program Hatched (www.hatchedtv.com), to learn more about those areas, as well as how he ended up going from investment banking, to running a healthcare startup here in LA, to hosting a television pitch show. Hatched recently started into its second season. Seigel is an LA native, and also sits on the advisory board of Honor, and is on the board of the JVSLA, and is on the Cedars' Sinai Board of Governors. Steve Seigel: Hatch is an amazing program, which is in Season 2, and was on CW last year. We take a really friendly, Shark Tank approach that promotes young entrepreneurs, and lets them pitch to a group of seasoned investors and venture capitalists on a panel, and where they not only get an actual investment, but also go through a retail challenge, to get consumer feedback. It's different from Shark Tang, because whether or not you get an investment or not, you are getting that consumer feedback. For the first half of our show, we actually set up a store front on the Third Street Promenade in Santa Monica, and put their product in a retail setting, and let consumers and investors run through the gamut, allowing them to interact in real time, and get feedback on their packaging and products, and even recommend it to their friends. What we want to do with our show, since it runs on a Saturday, is to be very family friendly, and focused on the entrepreneurs. There are a lot of other competition shows and reality show, which are much more predatory and cut-throat, and it's nice for our entrepreneurs to not only get a real investment, but get great feedback. This year, we are partnered with the Home Shopping Network, HSN, so that our companies not only get Hatched and an investment, they get PR on the Home Shopping Network as well. You have had an interesting career path to TV, starting with investment banking and a healthcare company – how did that happen? Steve Seigel: I think for me, it's all about building the right tools. I think the best entry level position is starting in investment banking. At a young age, I was really able to rip a company apart to see the financial details and drivers of business. I also spent lots of time as an entrepreneur, looking at great ideas, trying to understand the dynamics of businesses, all the way through fundraising, seeing how people see it on the other side of the fence, which gives me a leg up. As an entrepreneur, there is so much competition for so few dollars, so having a finance background and also having done something entrepreneurial really helps me provide balance to the show. I've been an entrepreneur, I've been an investor, and I have a finance background, which has been a perfect way to present myself and help people right now. How did you get involved with angel investing, initially? Steve Seigel: The last few years the technology scene has really exploded here in LA, with the development of Silicon Beach and startup downtown. I have a number of friends and colleagues, in their late 20's and early 30's, who wanted to do something entrepreneurial, and who were going out there and plugging into all of these networks. I realized that lots of people here don't have the finance and healthcare background I have. There are many people in LA who have a skill set in real estate or entertainment, but not many with my skills, so I started to plug into these healthcare deals right away, as a way to position myself as an early stage investor, in a space which isn't easily commoditized. Can you talk about the difference between pitching on TV versus pitching in real life to investors? Steve Seigel: Yes, there are to parts to that. On TV, there are two things that are important. You want to have that mass commercial appeal, and you want to connect with the viewers. You have to be likeable and approachable. Plus, when you are pitching the investors and panelists, you have to be very short and succinct, because you just don't have a lot of time. That's different from a normal pitch meeting, where there are just two, three, or four people in the room, and you can walk through a presentation. You don't have that luxury in TV. You have to know it cold, you have to be very succinct, but you also have to be very likeable and approachable to the mass consumers on TV as well. What I tell people, is to do that sixty second elevator pitch, you have to be very approachable and likeable, because whether or not you get an investment, there are hundreds of thousands of people who are being introduced to you as an entrepreneur. You want to make sure to capitalize on that. Whereas, in a meeting with someone, you can spent a lot more time on your presentation, and allow panelists and investors to speak more. But on TV, you need to get people to know you and connect with you. What's the biggest lesson you've learned so far from the show? Steve Seigel: The biggest thing, is that there are a lot of entrepreneurs who face the same challenges. They have an amazing idea, and lots of these entrepreneurs have put their whole life into the product, but they really just need some help with things that are already commoditized. For example, you might have a great product, and you just need someone with packaging experience, or some help with distribution, or it's a great product and it just needs to be rebranded. Lots of these guys come on the show, already have a niche market, but need some help to step it up to the next level. And, that help is not always capital. As an investor, there is financial capital and intellectual capital. Anyone can write a check, but not everyone can provide intellectual capital. On the show, I try to see if I am the best person to help the entrepreneur. Whether it's being on Hatched or not, I think if there is someone in my network, the perfect person to help the entrepreneur. What's unique, whether we do a deal or not, is I put them into an ecosystem across the country, which helps entrepreneurs find their right fit. The thing they should be excited about is not just the opportunity to get an investment, but also to work with people who care. Are there specific kind of companies you think do best pitching to a TV audience? Steve Seigel: I think anything that you might see on the Home Shopping Network. With partners like HSN, we reach 95 million homes. If you have one of the products that can neatly slide into one of their category groups, they will be really popular. The good thing, is there are lots of products that could go on HSN. It might be more difficult for a SaaS platform, or something that's not as tangible, but anything tangible in health and wellness, fashion, and any other kind of consumer group would be a good fit. If there's one piece of advice you'd give any entrepreneur, what would that be? Steve Seigel: The one piece of advice I give everyone, is you need to be your biggest cheerleader, but also your biggest critic. On TV, with everyone watching you, you need to believe in yourself. One thing I've learned about angel investments at the early, seed stage, it's 80 percent on the operator, and 20 percent on the concept. You've really got to believe in a person's story and the person behind it. And you have to be the biggest believer in you and your product, but still be able to be critical of yourself. It's finding that balance, and continuing to work, is what everyone has to do as an entrepreneur. Thanks, and good luck with the show!